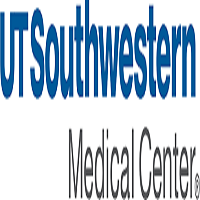 The Center for Human Genetics (McDermott Center for Human Growth & Development) at the University of Texas Southwestern Medical Center (http://www.utsouthwestern.edu/mcdermott-center) invites applications for a tenure-track position of Assistant Professor. We are seeking individuals with innovative experimental research programs in human molecular genetics. Successful applicants will be expected to establish a vigorous independent research program and to teach students at the graduate level. The individual should hold a graduate degree (MD, PhD or MD/PhD) and have completed a post-doctoral fellowship or be a candidate for the NIH Directors Early Independence Award. The appointment will include a competitive salary, attractive start-up package, excellent laboratory space in a dynamic research environment with access to the Centers state-of-the-art infrastructure for basic and clinical research related to human genetics, including family/patient collection, genetic variation, next-generation sequencing and bioinformatics cores. The faculty member will be jointly appointed to a basic science or clinical department.